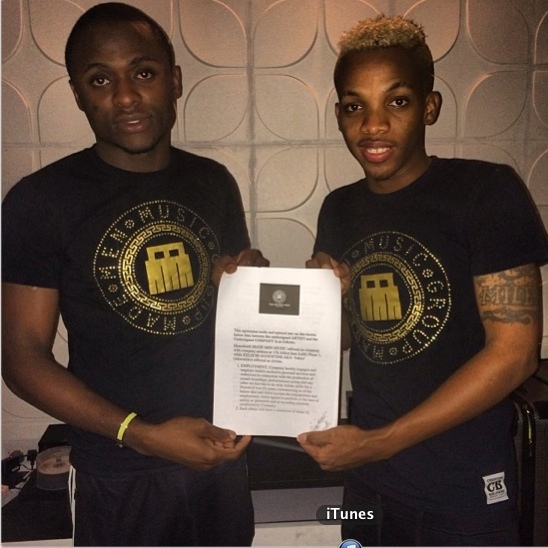 Although I already announced the signing of Tekno months ago, Iyanya and the management of MMMG decided to make it official with the whole signing of contract and all of that. Remember how I told you Iyanya bought 4 expensive luxury cars days back? Well, it’s now obvious that one of those cars is definitely a gift package for Tekno, marking his birthday and sealing the MMMG contract too. Previous articlePHOTOS: Miracle Baby Born on 11.12.13 at 14:15!